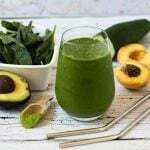 Squeeze as much goodness as you can into one smoothie with this super delicious Peaches and Green Power Smoothie which is jam-packed with all the green goods. We have just returned from a week in the Sonoma/Napa Valley with family. It was filled with wine, fine food, chocolate Babka from Dean and DeLuca and no exercise at all. I. NEED. GREENS!!!!! Seriously even the kids were asking for salads when we got home. We usually indulge on vacation, but nothing like this. I blame my brother-in-law and his twisting of my arm to eat all the homemade pasta, barbecued quail, cheese, meats, more cheese and everything the fancy french bakeries there had to offer. It was delightful, but my goodness , my body needs a break. This smoothie has been my life saver. It is jam-packed full of all the green goods…spinach, avocado, cucumber, matcha and some peaches and banana for sweetness. It has become my go-to afternoon pick-me-up, as it gives a quick energy boost and sugar hit (from the fruit) all in one. Plus it tastes delicious and fills the belly until dinner time rolls along. If I want to share it with the kids (or more like if the kids are hounding me for whatever it is I happen to be eating or drinking at the time, because it happens every single time right?? ), then I whip it up without the matcha, serve them their share and then add the matcha after. If you do it this way be sure to blend properly the second time around so you don’t have chunky bits of matcha floating around in your perfect smoothie. I hope this Peaches and Green Power Smoothie finds you well and brings you a much-needed dose of green energy and superfood power. Happy drinking. Squeeze as much goodness as you can into one smoothie with this super delicious Peaches and Green Power Smoothie. 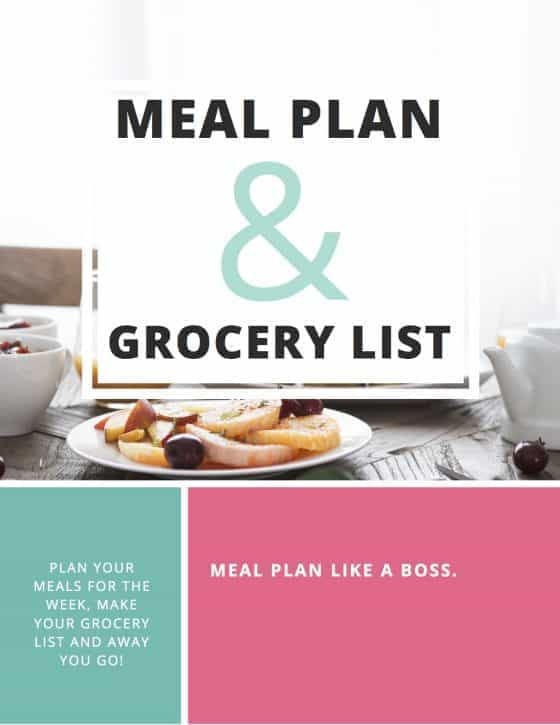 Can be covered and stored in the fridge for up to 3 days. Be sure to give the mixture a good shake before serving. The matcha for this smoothie was supplied courtesy of DōMatcha. I used their seasonal harvest blend. This looks so healthy! I love smoothies! It is 🙂 But still delicious enough to get the kids involved!! Never had a green smoothie! Makes me want to try it, so beautifully vibrant and healthy 🙂 .